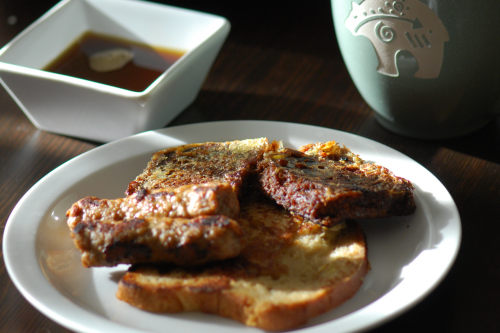 This morning, I decided to rescue the bread by turning it into french toast, and it turned out delicious! This obviously isn't egg-free, so I did cheat a bit on my allergies, but an occasional egg isn't too bad. Note: these are actually better without maple syrup.